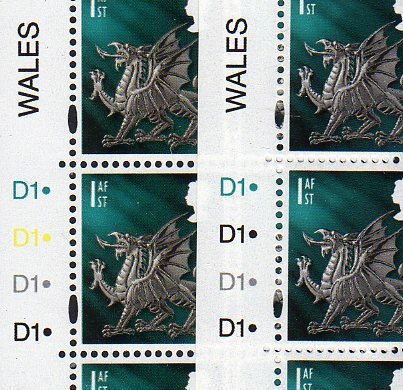 I'm pleased to report a successful holiday visit to Wales - we now have the 1st class country stamp from the 2006 printing with black ink in the 'yellow' cylinder, first reported last year. You can buy singles and some blocks (including marginals) from our online shop. At present we have no cylinder or date blocks: we are awaiting decisions from regular customers who may want these.